Seems like with the new iPad showing up in stores, it was time to start this type of thread. In my case, I've ordered a Poetic case from Amazon. It is similar to the type of slim cases I liked on my iPad Air, in that it is not much thicker than just the Apple cover but protects the back, and this case is is priced well (currently $8). I have the Air 2 but I just use a Smart Cover on mine. This is my Poetic case and, so far, I'm happy with it. I know some won't care for it because the top and bottom are uncovered, other than the corners. Despite the appearance in the pictures, this case is a dark blue. The 'P' in the front cover actually seems to be made of metal and embedded in the cover, it looks good. I also like the etching on the inside cover. I'm just reusing my iPad Air Smart Cover for now, waiting on more companies to release their 2017 iPad cases. Really hoping UAG drops one soon. Same, but I have the full leather case. 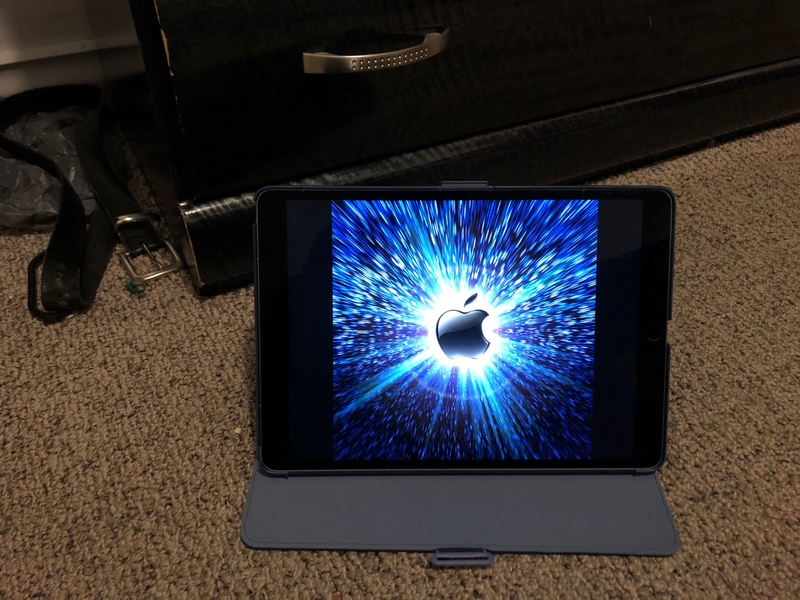 I purchased a Thankscase Smart Cover for my new iPad 9.7, and I absolutely love this case! The craftsmanship is very well done, and the topstitching is gorgeous. I feel like this case will provide plenty of protection to my iPad if I accidentally drop it. I love this case so much that I can't stop looking at it hehe. I bought the rose gold and white one, but there are 22 other options to choose from. There's also a holder on the side for a stylus even though it's not mentioned in the main description. The magnetic flap stays to the back when you flip it back, so it stays out of the way when your viewing your iPad. Provides functionality and protection with the all in one design, folder wallet pocket style case. Built-in magnetic strip provides Smart Cover (Auto Sleep/Wake) Function. The case is customized for the 2017 new iPad 9.7 and iPad Air. The case does NOT fit iPad Pro 9.7, iPad Air 2 and other iPad models. Annie_8plus, ladyc0524, mogelijk and 1 others like this. I purchased it off of Amazon. It's a Fintie iPad Air 2 Case - 360 Degree Rotating Stand Case. 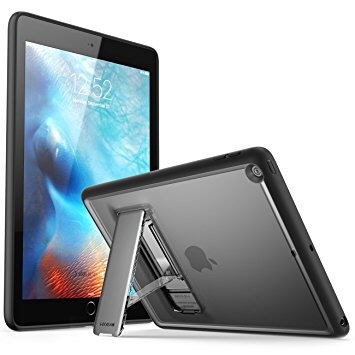 I used a similar case on my iPad 2, and was very happy with it, so I was happy to find that they had them for the Air 2! ladyc0524 and mogelijk like this. I just ordered this case for my iPad Pro 9.7"!! Annie_8plus and mogelijk like this. I got the i-blson halo case. Picked up this ESR case cause it was quick and cheap to get here with free 1 day Prime https://www.amazon.com/gp/product/B0...mUvbUpU2958102 It'll work for now to keep the screen from getting scratched around the house. I definitely would not pay the almost $30 that is the "regular" price. The $16 "sale" price is ok though. Going to keep an eye out for new cases, but right now I'm probably going with the UAG unless something really nice comes out like if Lifeproof or Dog & Bone made a water proof case for it (in case I decided to use it with Gaia for hiking maps over my iPhone). This ESR definitely has a flimsy plastic "case" bit inside the folio part. I'm surprised it even stays on the iPad and I suspect if dropped the iPad is definitely coming right out of it. Unlike some of the reviews I've been reading though (don't know if they tried to use a 9.7 pro or what) I don't have any alignment issues with any of the buttons or camera so that's good. So I just swapped to the UAG case in red because it was on sale for about $15 off on Amazon. Wow this thing is night and day better than the ESR. It's a good bit thicker as well, but that's ok it feels really nice. I currently use Logitech's slim keyboard/case for iPad Air gen 1. It doesn't have smart lock due to slight changes in the design, but for what I wanted it to do, it does them tremendously well. I now work and play and consume content mostly on my iPad. Other keyboard/case designs you really can't put on your lap or any malleable surface due to them not being a rigid design. Has anyone found a leather back cover,something like a iPhone cover ? Using a speck case with the 10.5”. I’m looking for a case like the earlier Apple brand that were a thin rubberized cloth in back. Have any of you found that? It appears Apple stopped making that one with the earlier Air series. Thx. Update the Ditto in black I got via Amazon seems great. Good fit, design and price. I've had this case on my iPad 2 for 5 years and it has held up extremely well, so I ordered this version for the new iPad (which is a Christmas gift, shhhhhh). What VPN app for macOS/iOS? ?